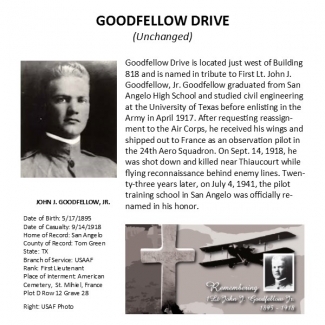 On 1 July 1993, Air Education and Training Command activated the 17th Training Wing at Goodfellow AFB, Texas. 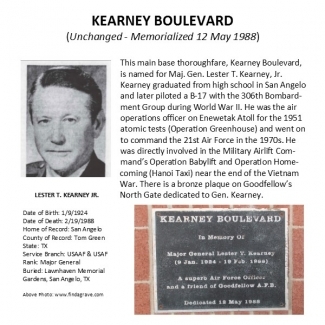 The wing assumed the lineage and honors of the 17th Reconnaissance Wing, inactivated at RAF Alconbury in 1991. 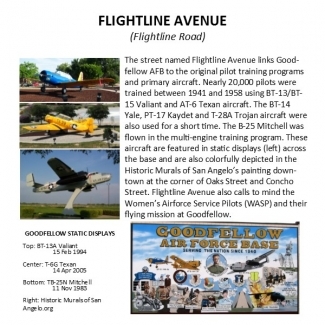 At the same time, Goodfellow completed the renaming of its streets. 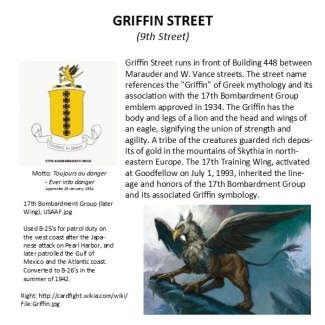 The new street names brought Goodfellow fully into compliance with the US Postal Service Zip+ 4 program. 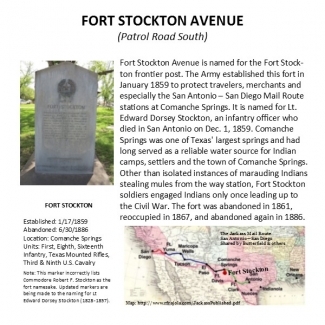 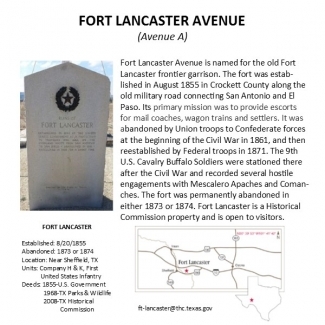 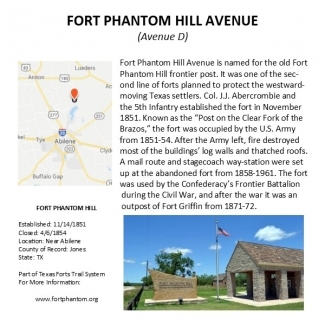 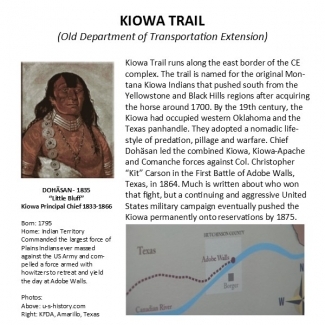 The names also recognize local and organizational heritage, and call to mind the forts offering protection to wagon trains and travelers along the historic Butterfield Overland Mail Route, Native American tribes once prominent in Texas, and aircraft, alumni and friends associated with Goodfellow and the historic 17th. 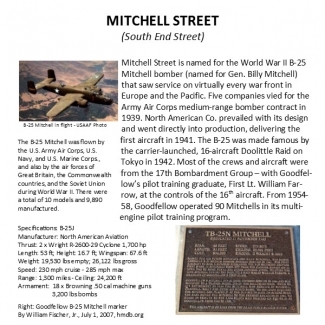 In each description. 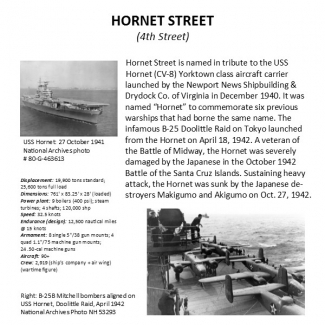 the new name appears in boldface while its former name, in italics, follows in parentheses. 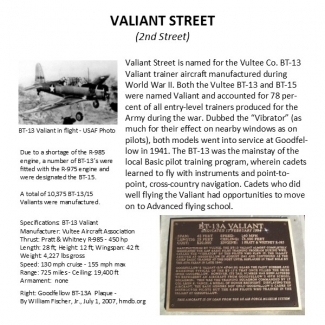 Where possible, roads running north-to-south are named Boulevard or Avenue. 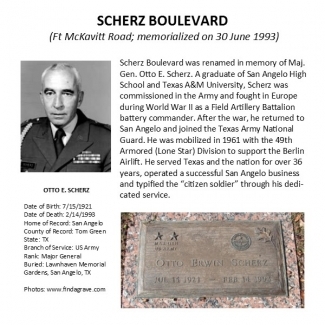 The two Boulevards are named for prominent San Angeloans. 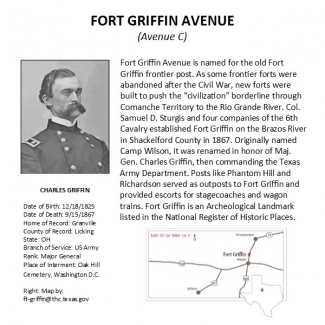 The Avenues, other than Challenger and Flightline, mainly identify forts associated with the Butterfield overland mail route. 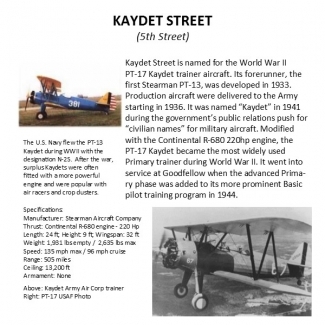 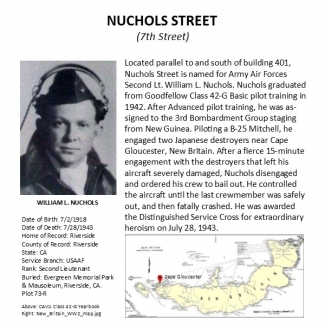 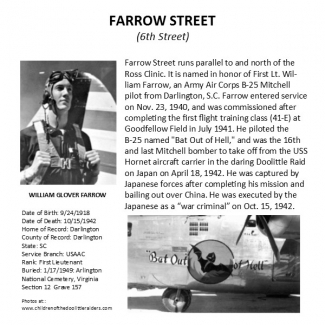 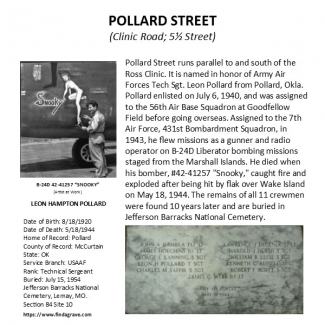 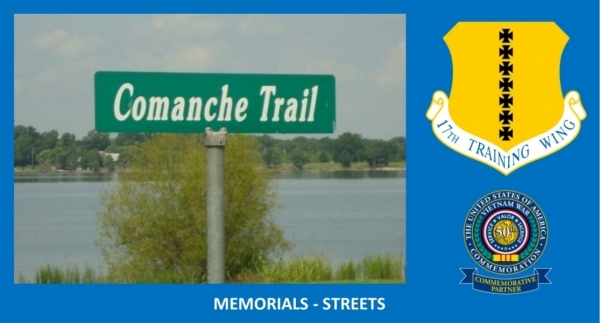 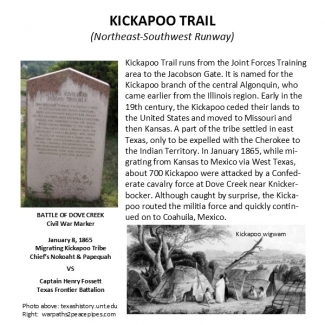 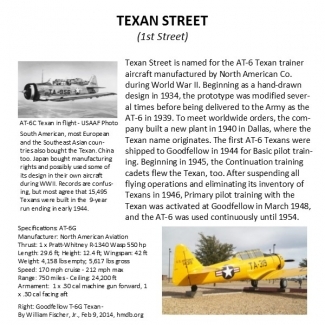 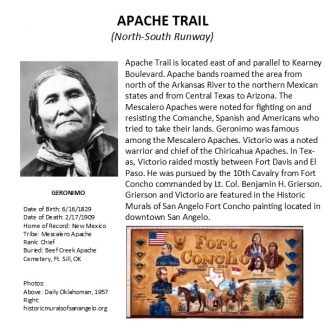 Other roads are named Alley, Circle, Street and Trail in tribute to Medal of Honor recipients, Goodfellow veterans killed in action, prominent pilot training aircraft, and Texas Indian tribes. 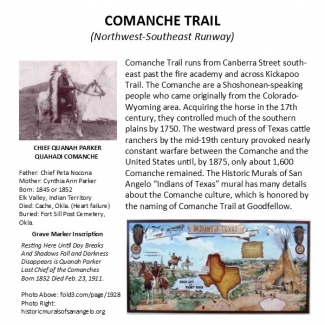 Noted community artists featured many of the same authenic West Texas heroes and landmarks in the Historic Murals of San Angelo projects. 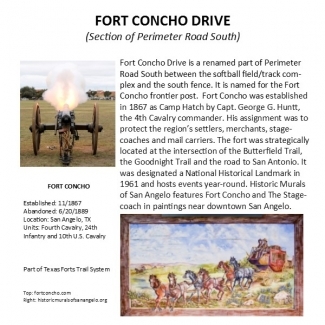 When available, specific links or references to the murals are included with the named road descriptions. 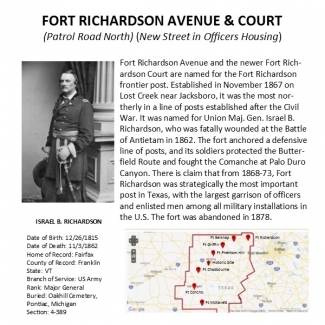 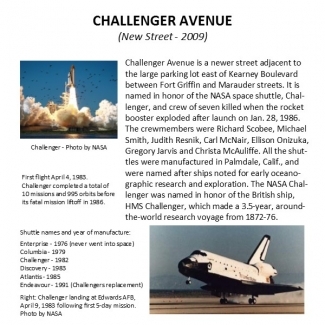 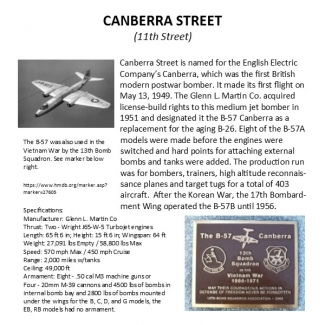 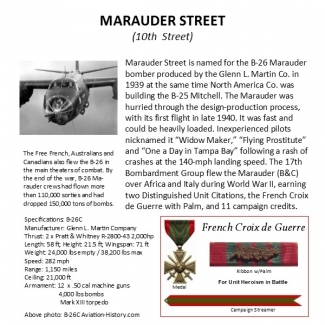 Click on a graphic description below to learn more about each named street. 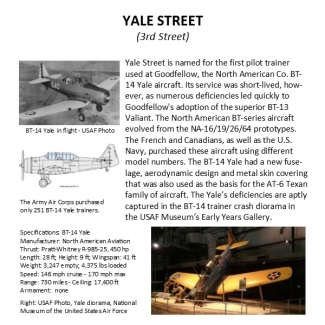 Use your browser return arrow to come back to this page.